Hermes has appointed Dr Georg Rau as its new fulfilment executive board chairman – his role will begin on 1 January 2017. 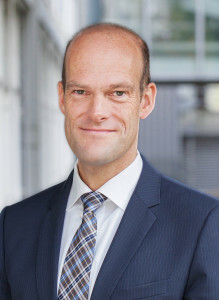 Rau succeeds Dieter Urbanke, who has held the role for ten years. “Since its foundation, Urbanke has formatively shaped the development of the new company,” said Hanjo Schneider, member of the executive board for services of the Otto Group (of which Hermes Europe is a subsidiary) and chairman of the supervisory board of Hermes Europe. “He guided it along the path to offering client-specific logistics services and has turned it into one of the leading providers of full service e-commerce solutions in Europe.